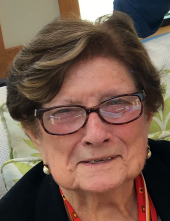 KUNDINGER, Dorothy Kathleen (nee Koch) - Age 91, of Birmingham, formerly of Fenton, died September 4, 2018. Funeral services will be held 2 PM Saturday, September 15, 2018 at Sharp Funeral Homes, Fenton Chapel, 1000 Silver Lake Rd., Fenton. Visitation will be held from 12 Noon until the time of service Saturday. Cremation will follow services. Those desiring may make contributions to Beaumont Hospice. Dorothy was born June 3, 1927 in Sebewaing, the daughter of Elmer and Martha Koch. She and her husband Thomas, founded Kundinger Fluid Power in Fenton, which is now operated by their sons. Dorothy enjoyed traveling, knitting, doing needle point and was energized by hosting family and friends at her home. A woman of remarkable kindness and utter selflessness, our mother leaves a wonderful legacy to her children and grandchildren. Nothing gave her more pleasure than being with, or doing something for, her family. From visits to her sons and their families in Wisconsin and Virginia, or enjoying time with her son and his family on Lake Charlevoix or Baja California, Mom brought joy and love wherever she was. Left behind to celebrate her life and love are her son, Tom (Joanne) and their children Tom, Paul, Matt and Mike; her son, Greg (Lari Anne) and their daughter Kelly and her son, Brian (Jeanine) and their children Heather, Brian, Todd. ; seven great-grandchildren; sister, Jeanette Weinberg of Studio City, CA; brother, Robert Koch of Adrian, MI; numerous nieces and nephews. She was preceded in death by her husband, Thomas A. Kundinger on August 11, 2004; parents; sisters, Marian Brady and Bernice Hedley; grandson, John A. Kundinger. To send flowers or a remembrance gift to the family of Dorothy Kathleen Kundinger, please visit our Tribute Store. "Email Address" would like to share the life celebration of Dorothy Kathleen Kundinger. Click on the "link" to go to share a favorite memory or leave a condolence message for the family.